Unbridled Leadership is a turbo charged leadership performance workshop designed to guide leaders desiring to build organizations characterized by high levels of commitment and by high levels of performance. Strong individual leaders realize they can succeed only as part of a committed leadership team. Confident humility is a cornerstone of leadership. Being confidently humble exudes integrity and dependability that earns genuine trust, helping others become engaged at their highest level of commitment. Leaders must first fulfill their responsibilities before others can fulfill theirs. Unbridled Leadership examines the four responsibilities of leaders and four responsibilities of followers. Leaders must motivate people in a way that will engage at an internalized level of commitment and deliver desired results. The key is to be as soft as possible and as firm as it takes. Being a genuine partner requires competencies from the other three quadrants. Unbridled Leadership teaches leaders how to develop synergistic partnerships that result in peak performance. Developing leading businesses and business leaders. Unbridled Leadership is an innovatively powerful leadership workshop that develops leadership skills, drive engagement and deliver results. This workshop will demonstrate how leadership is thekey driver for engaged people are the differene between average and peak performance. What’s unique about this workshop is that leaders discover how to lead through experientail learning with a horse. Horses possess a survival instinct to seek leadership. The horse will instinctively size participants up to determine if they will follow this human. That honest, instinctive desire to follow makes horses that perfect medium to learn leadership. Horses don’t care about your title – they always give you immediate and honest feedback. When you lead right, they will follow; when you don’t, they wont. Q. 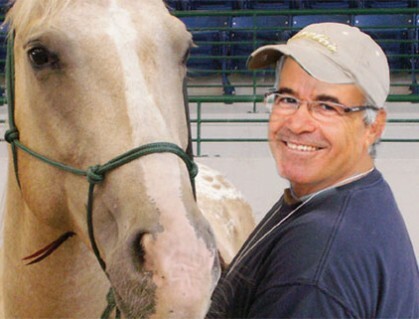 What can a horse teach me about leadership? If you were to put a bunch of horses in a corral they would soon  determine who among them is the leader. The same is true how a  horse reads a person – the horse will instinctively size them up to determine if they will follow this human. Q. Will we actually be working with the horses and will we ride them? You won’t be pampered. 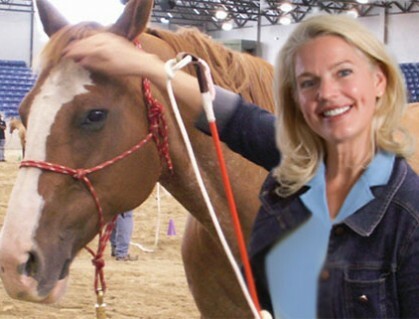 You will roll up your sleeves and have a  hands-on experience interacting with a horse., although you will not  be required to actually ride the horse.